Siliguri: An office of the chief minister will come up at Richmond Hill in Darjeeling, north Bengal development minister Rabindranath Ghosh said at Uttarkanya here on Friday. Mamata Banerjee, during her earlier visits to Darjeeling, had said that a branch of the CMO would be set up in hills to facilitate administrative works. It would be manned by an official from the CMO, she had said. Ghosh, while speaking to newspersons, said: "The chief minister's office will come up at Richmond Hill in Darjeeling. Our department will build the office by spending Rs 2 crores. It will have a conference room and an office block, with the chief minister's chamber and other necessary infrastructure. Also, an arrangement for accommodation would be made separately." The chief minister, during her visits to Darjeeling, stays in Richmond Hill, where there is a bungalow owned by the state. Ghosh, who held a review meeting with his officials on Friday, also discussed on some other projects. The meeting, sources said, was held to have updated information ahead of the proposed visit of the chief minister. Mamata is likely to visit Darjeeling and Kalimpong hills on next week, said sources. "We have also taken the task to rebuild the Raj Rajeswari Hall of Kurseong. The total project cost is Rs 1.50 crores and half of the amount has already been provided to the district magistrate of Darjeeling," said the minister. The hall is an old structure in the hill town that was torched during the statehood agitation on last year. NBDD, Ghosh said, has also planned to build a better and wide road along the 23-km-stretch between Loleygaon and Lava, two prominent tourist destinations of Kalimpong district. "State PWD will do the work. They are preparing the detail project report now," he said. As of now, projects worth around Rs 200 crores have been taken by the department and are in progress. "We have also planned to finish the work of a modern resort at Lataguri in Jalpaiguri district before Durga Puja. The resort is coming up on one acre land and will have 18 rooms, a conference hall, separate dining room and lounge. We have spent Rs 8 crores for the project," the NB development minister said. Once completed, the resort would be handed over to West Bengal Forest Development Corporation that will run it. Another key project that he referred is installation of solar pumps in all six districts of north Bengal for the benefit of farmers. "A sum of Rs 128 crores has been allocated for the project. Initially, we will install such pumps for irrigation in three blocks of each district. 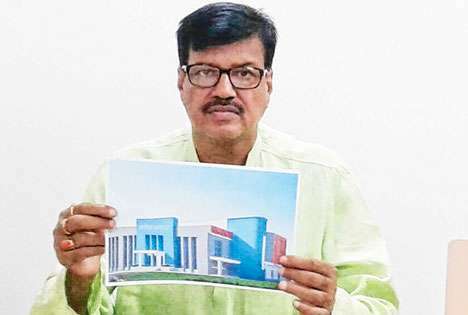 The BDOs of these blocks have been asked to select the beneficiaries," said Ghosh. An office of the chief minister will come up at Richmond Hill in Darjeeling, north Bengal development minister Rabindranath Ghosh said at Uttarkanya here on Friday. Mamata Banerjee, during her earlier visits to Darjeeling, had said that a branch of the CMO would be set up in hills to facilitate administrative works.